Marion prison lockdown, Thomas Silverstein: How a 1983 murder created America's terrible Supermax prison culture. 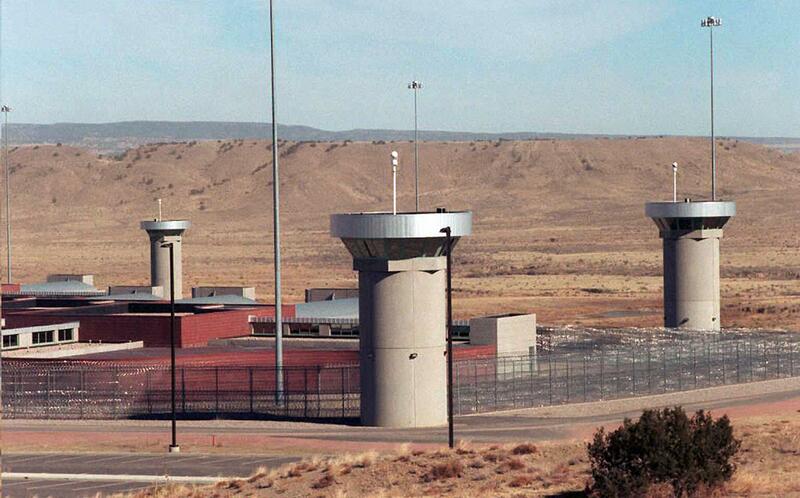 This 1995 file photo shows the super-maximum-security federal prison in Florence, Colo.
On Oct. 22, 1983, inmates aligned with the Aryan Brotherhood prison gang murdered two corrections officers at the United States Penitentiary near Marion, Ill. The reverberations from those killings are still being felt in the American prison system. The murders sent Marion into lockdown for 23 years, ushered in the era of the modern Supermax prison, and normalized the chilling idea that the only rational way to deal with violent or notorious prisoners is to lock them up in small, isolated cells and throw away the key. The plot resolved quickly. On Oct. 22, 1983, a shackled and guarded Silverstein was released from his cell to take a shower. While in transit, another prisoner slipped Silverstein an improvised knife and a handcuff key. After freeing his hands, Silverstein stabbed Clutts approximately 40 times, killing him. Several hours later, Fountain used similar tactics to kill another guard, Robert Hoffman. The message the two men sent was clear: Even the tightest security restrictions weren’t enough to control them. I can’t describe to you—I never seen beatings like that. At least fifty guys got it, maybe more. I was only involved in seven or eight, but there was beatings every day there for a while. I had inmates ask me how long this madness was going to last. And I said, from what I seen, it better be a permanent lockdown, because when you beat a man like that, he’s gonna retaliate. The conditions were brutal, and regularly denounced by human rights groups, which deemed the isolation strategy a form of torture. In 1987 Amnesty International said that “There is hardly a rule in the [United Nations] Standard Minimum Rules [for the Treatment of Prisoners] that is not infringed in some way or other” in Marion. From the government’s perspective, however, the harsh tactics were effective. “There is no way to control a very small subset of the inmate population who show absolutely no concern for human life,” former Federal Bureau of Prisons Director Norman Carlson told the San Francisco Chronicle in 1998, justifying the decision to put Marion into lockdown. “[Silverstein and Fountain] had multiple life sentences. Another life sentence is no deterrent.” After 1983 Marion’s rate of inmate murders and assaults dropped significantly, and it became one of the safest penitentiaries in the federal system. It also became a model. Today nearly every state features at least one dedicated control-unit facility, specifically designed to house notorious or recalcitrant prisoners. The most famous of these is the Supermax facility at ADX Florence, in Colorado, where notorious inmates like Ramzi Yousef, Ted Kaczynski, and Zacarias Moussaoui are confined in a setting that resembles Marion, but allows for even less human contact. And there are plenty of others. There’s the Pelican Bay SHU in California, for instance, where conditions are so bad that inmates filed a class-action suit charging Eighth Amendment violations. Virginia’s Red Onion State Prison, home of Beltway sniper Lee Malvo, is a place where, according to Human Rights Watch, “racism, excessive violence, and inhuman conditions reign.” The Marion lockdown was the test case that made these other facilities possible; that helped normalized indefinite administrative segregation as a viable penal strategy. As I wrote earlier this month in a story about indefinite solitary confinement, control-unit prisons are popular in part because they appeal to law-and-order types, and in part because most people don’t generally care about what happens inside prisons. They really don’t care if a bunch of terrorists and murderers don’t get to play basketball or eat in a dining hall. Boohoo.